January and February have been a busy time despite being far too cold for my West African body and Soul! 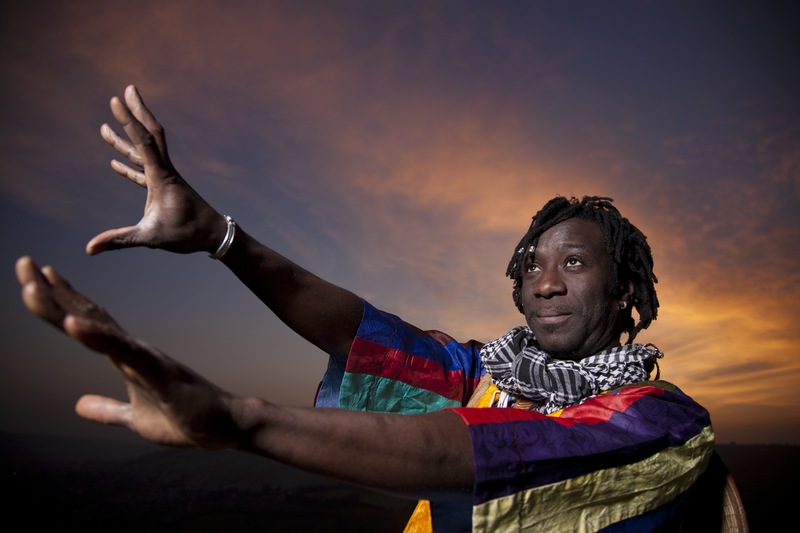 It has been a time packed with wonderful music and I had the good fortune recently to go to a concert in Bristol by the great Senegalese musician Baaba Maal. 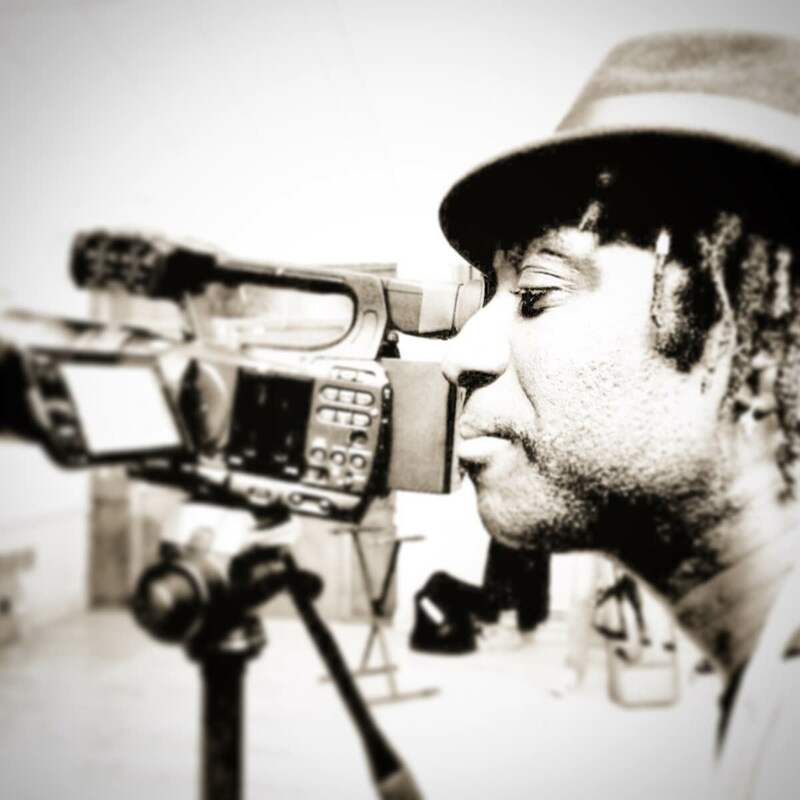 Baaba Maal has been a great ambassador for the music of West Africa for many years, he is one of the most famous international artists to come out of Senegal and his energy and love for the music never dims. I have been listening to Baaba Maal for a long long time, he is a musician who feels his music deeply and only follows his own way. Listening to Baaba Maal’s music over the years has been a great influence to me, He is a very friendly welcoming and gentle person, who gave me great encouragement when we met after the show. It made me so happy to be able to give him one of my albums ‘Ligeey’ after all these years listening to his music. Baaba Maal primarily Sings in the Pulaar language. He is the foremost promoter of the traditions of the Pulaar-speaking people, who live on either side of the Senegal River in the ancient Senegalese kingdom of Futa Toro. Baaba Maal has made some 14 albums or so in his long career spanning almost 30 years including ‘Traveller’ his latest released this month. Whilst fighting off the February Blues and trying to stay warm, Mark and I had a day of gigs at The Destinations Show in Olympia, where we played in front of an African Sunset surrounded by companies selling holidays and tours to generally much hotter locations. It was a good gig, some very nice people selling mosquito repellent and nets let us relax in their Yurt between performances, so we were well taken care of. With that sunset behind and surrounded by holiday destinations we had to do the performance in shades, it seemed only right thing to do! From the dream of hot exotic destinations to Derbyshire, February brought us some Rural touring gigs for Live and Local, getting out and about in a van full of equipment and Instruments, its only the musicians who tend to be squishy in that environment. 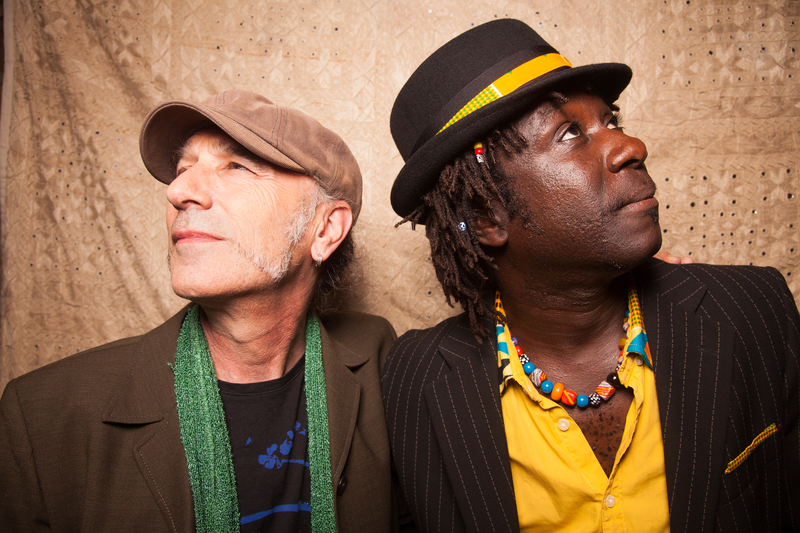 Really we do enjoy being on the road, meeting new people, spreading the Group Yakar Afro beat, Jazz Funk, Blues love thing. Our gig in Critch Glebe on Valentines night was Sold out completely, apparently they had to turn Fifty people who wanted tickets away, and they had people traveling from London for the gig, it is wonderful when you get a night like that, the promoter for that gig was truly amazing, he worked so hard and seemed to be enjoying every minute of it making the night a success. 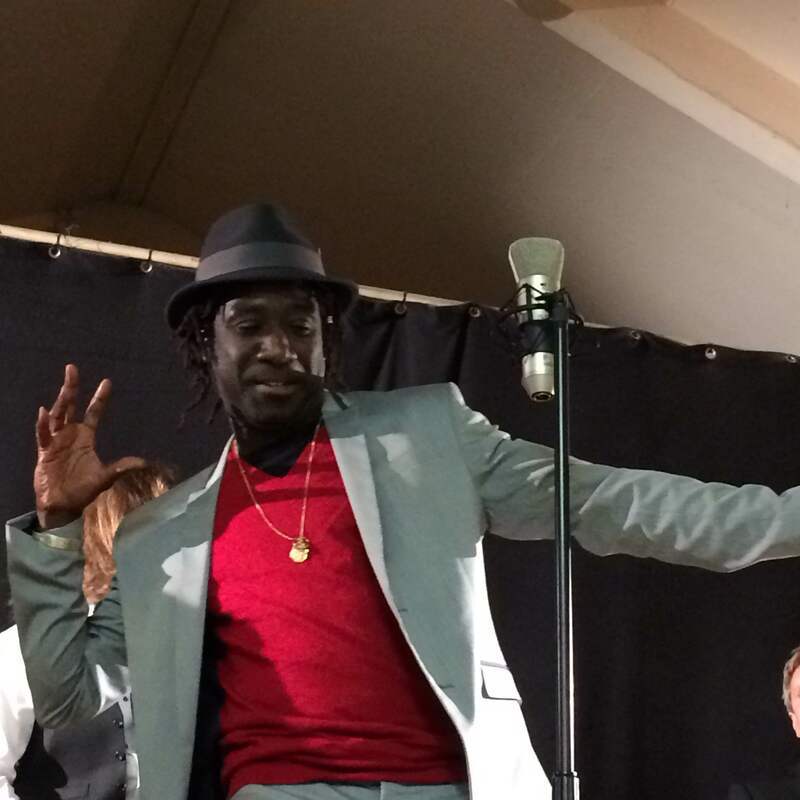 This is just to say a huge thank you to Amadou Diagne & Group Yakar for giving us such a wonderful evening in Crich yesterday. The feed-back has been fantastic, as you’ll see from the attached Word Cloud. We asked the audience to describe their experience in 3 words – the response was unprecedented! The larger the font size, the more times the word was used. So basically your audience last night thought the gig was: entertaining; great; enjoyable; fun and excellent! I couldn’t agree more! We all wish the band a hugely successful future, and I hope rural venues book you time and again before the band is playing to much larger venues. Which we are working very hard to make a truly fantastic and memorable night. As well as my full Group Yakar band performing, There will be an exhibition by Artist David Cox http://modernart-dcox.com who created the cover for the Ligeey Album. next up I will be blogging about Davids Cox’s artwork and animations. 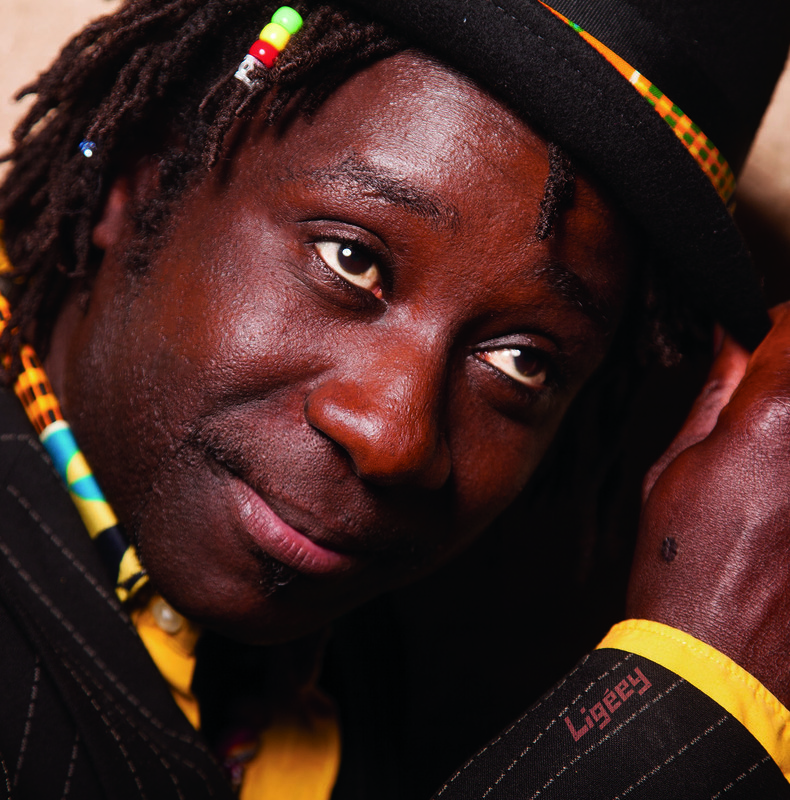 This entry was posted in African style, Gigs, Ligeey, music, Touring, Uncategorized and tagged abum, Amadou Diagne, Baaba maal, Destinations, Ligeey, Live and Local, Mark Smulian, music, Olympia, Senegal, Sound Bank, Southbank Club. January is a hard time to be in the UK when you have grown up with the warm climate of West Africa! 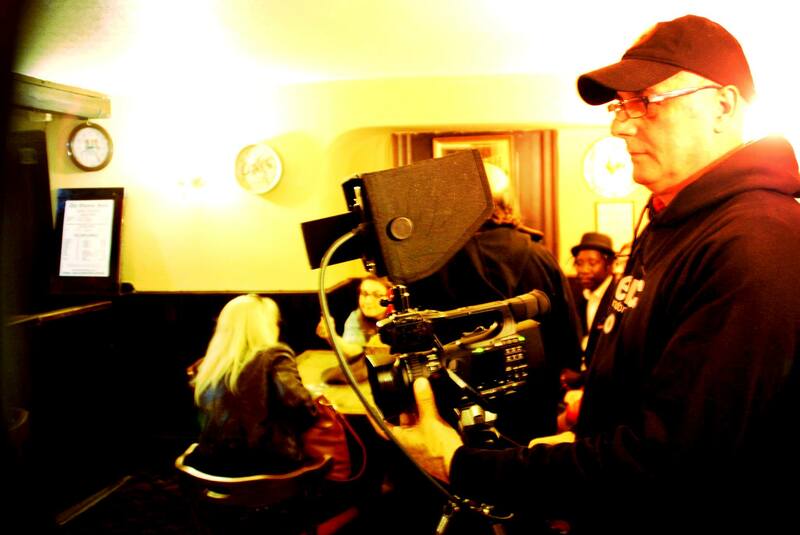 I am very glad at this time to be so busy with the band organising exciting things for the year ahead, we have been working hard making a promo film to send out to promoters, venues, festivals looking for opportunities to tour the band. There are already some exciting gigs lined up for February, Starting with the Destinations Show in Olympia, London, on Sunday 7th February. I will be performing a duo gig with Mark Smulian on the Experience Africa Stage. 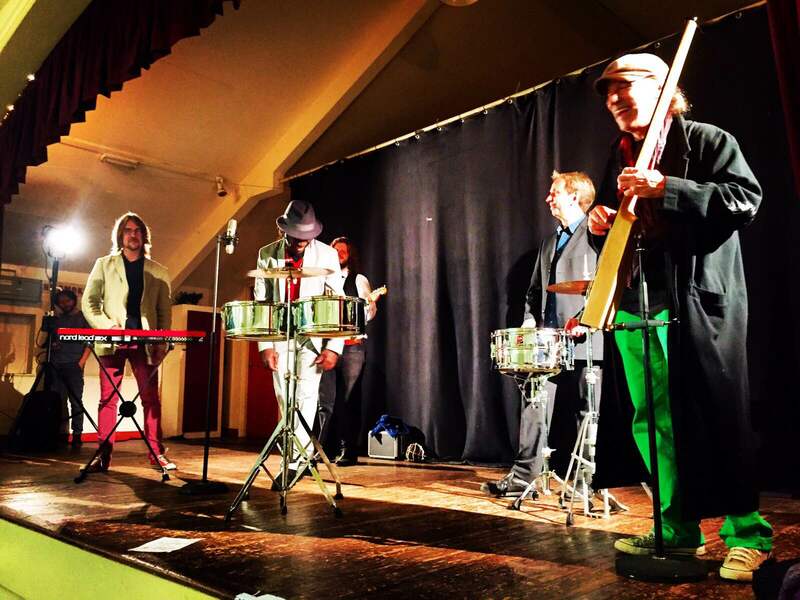 Then on Saturday 13th February The full band will be playing at Burton Caribbean Community Centre, Burton On Trent, followed by a gig at the Crich Glebe Field Centre, Matlock, Derbyshire the next Day on Sunday 14th. This is part of the National Rural Touring scheme which is an exciting thing to be part of as a performer as you get to travel to some very out of the way parts of the country and meet lots of very appreciative and interesting people. Saturday 27th February we have a big gig organised at The Southbank Club, Bristol. Here is the beautiful poster designed by Kirstie Forbes using the artwork for my album ‘Ligeey’ by artist David Cox. David will be exhibiting his beautiful work at the Southbank Club on the night of the gig, so it is going to be a full on audio and visual night of good things. We hope to include some workshops in local schools and will be making sure of a very creative vibe with great music obviously. I love the way Kirstie has so carefully placed each band member into the bus made by David Cox. The bus is actually about 4 inches long in reality so we would have to be the smallest touring band on earth if it weren’t for photoshop, sort of like an African funk rock flea circus. We spent a chilly afternoon hanging out of car windows with our instruments then hoping up and down and dancing to keep warm in the park whilst Zoe tried to take our pictures. 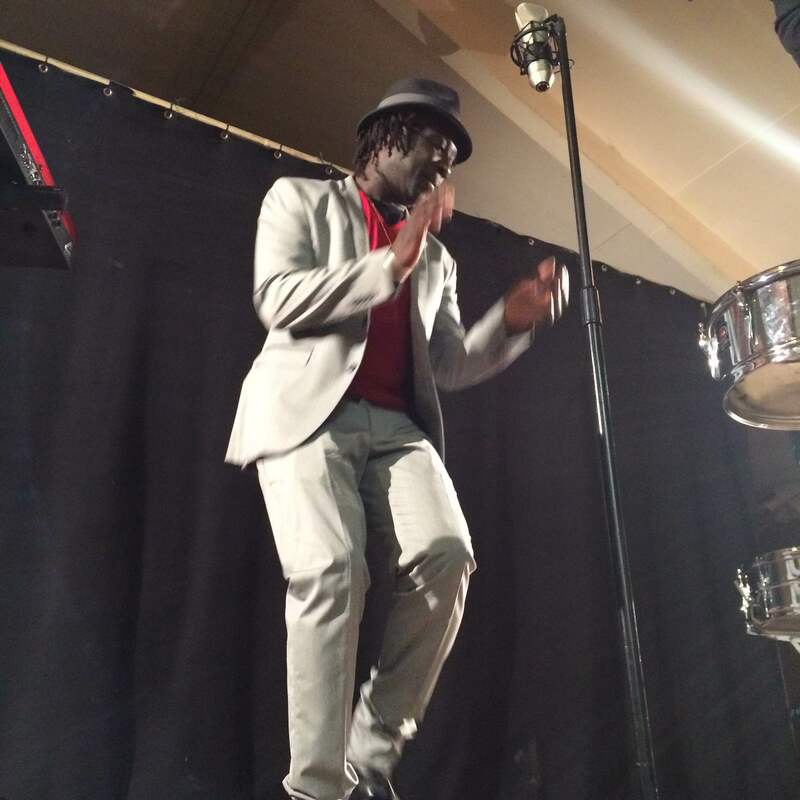 This entry was posted in African style, album, Gigs, Ligeey, music, Touring, Uncategorized and tagged abum, Amadou Diagne, Busy, Gigs, Ligeey, music, Touring. 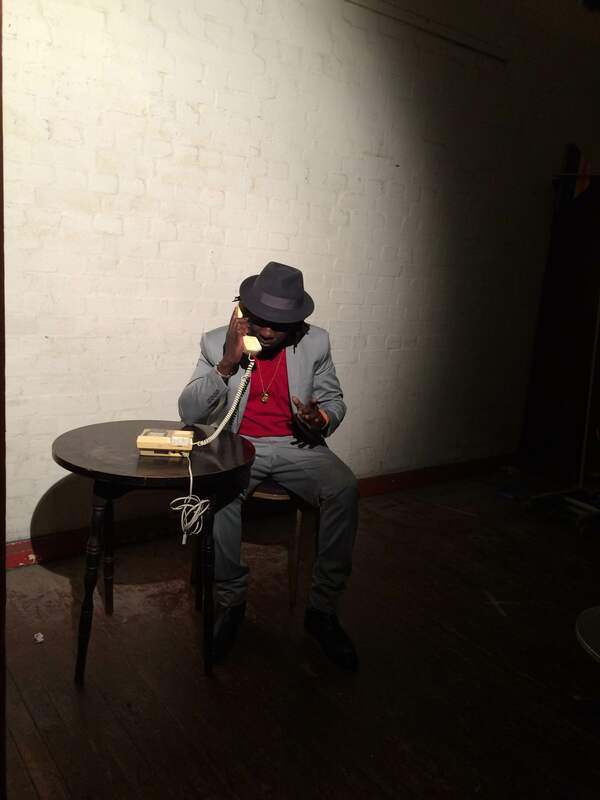 Some pictures from our recent video shoot for a video for the track ‘Don’t leave me’ from my latest Album ‘Ligeey’. This video is being made by the Italian film maker Massimo Biagini so it is very cinematic and something quite different and exciting! This is the track ‘Don’t leave me’ on youtube the video for it will be coming very soon! As it is a music video I naturally spend a lot of my time in it dancing, I have enjoyed coming up with the dance moves, surprising people out shopping with some of our gorilla style filming on the streets of Bristol. Hello? Hello? is it me your looking for? yes thats 10 pickled eggs and a bag of chips extra curry sauce please, I have a hungry band here! Getting in the groove with full band, Lights camera Action! 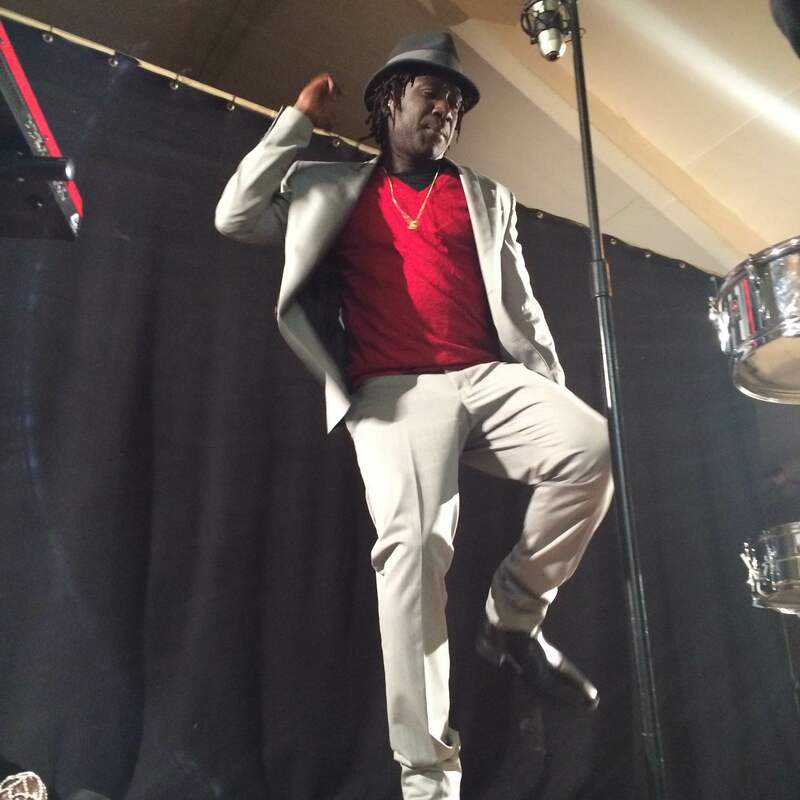 This entry was posted in African style, album, film, Ligeey, music, video and tagged album, Amadou Diagne, FILM, filming, Ligeey, music, video. When you are working hard creating,writing, recording it is easy to forget dressing the part, so when the time came for a photoshoot to be arranged I realised I needed to come up with at least one outfit suitable to do the album some justice. lucky I am also a tailor then! A friend had given me a pin stripe suit some time before that I had never worn as it was a little on the large side, I liked the idea of a pin stripe suit as the album is called Ligeey which is a wolof word meaning work and what better way to look like I am meaning business! I have a good industrial sewing machine I use so it was not hard to make some changes to the fit of the suit. Slimmer trouser legs and sleeves, a better fit around the body, a new lining with a bright african wax print, then adding touches of the same fabric to the tops of the pockets too. My lovely wife found a black hat in our local charity shop to which I added some of the same fabric as a hat band. I then reworked a plain yellow shirt, giving it a bold stand up collar in the same fabric and some applique strips down the front of it. 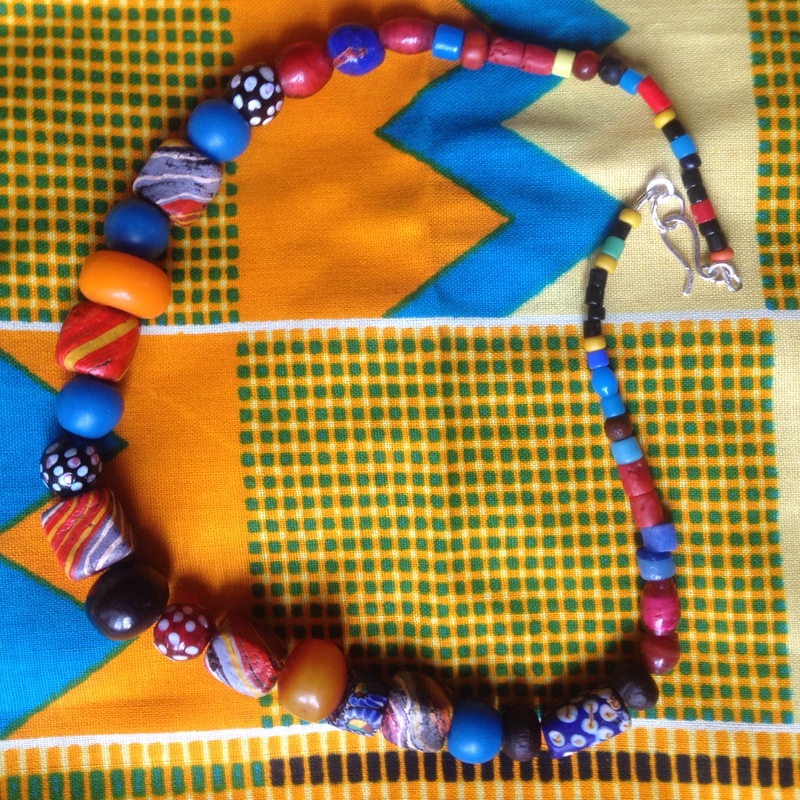 My wife loves collecting beads so she strung up some of her favourite ones as a necklace for me that picked up the colours from the fabric I had used. She says the necklace contains a mix of some old African amber, venetian glass, wood and some of her most prized hand painted indian rose wood beads. 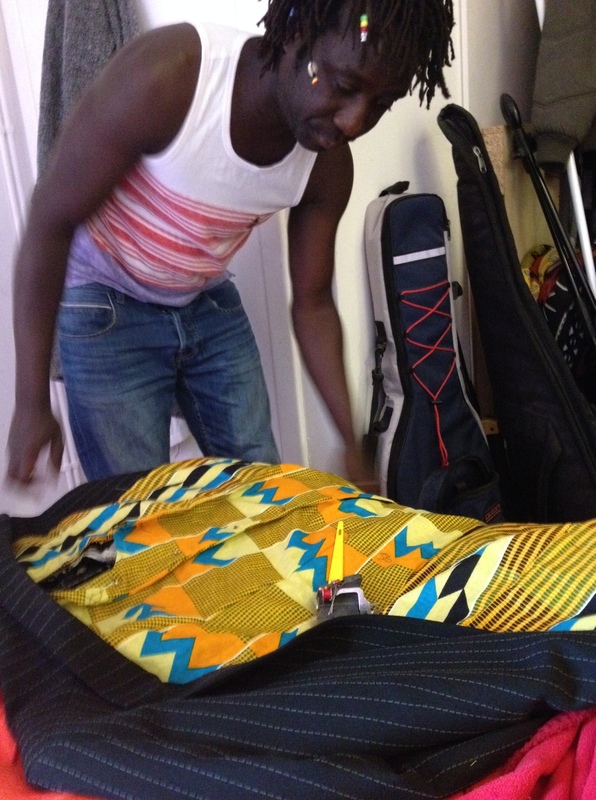 This entry was posted in African style, clothes, music, sewing, style, Tailoring and tagged abum, African wax print, Amadou Diagne, Ligeey, Long Tale Recordings, music, photo shoot, pinstripe suit, Senegal, suit, Tailoring.